This is a quilt I made for my son, Alex. The plan was to make a quilt for my husband and sons for Christmas. I made my husband a rag quilt and then picked out some easy quilt blocks for Alex to pick from - he didn't like any of them. He shows me this design that he liked - I later found out it was called a fleur-di-lis. I begged him to look at other blocks - he still didn't want anything else. He picked out the colors he wanted and I did the best I could. It took me three years to finish. 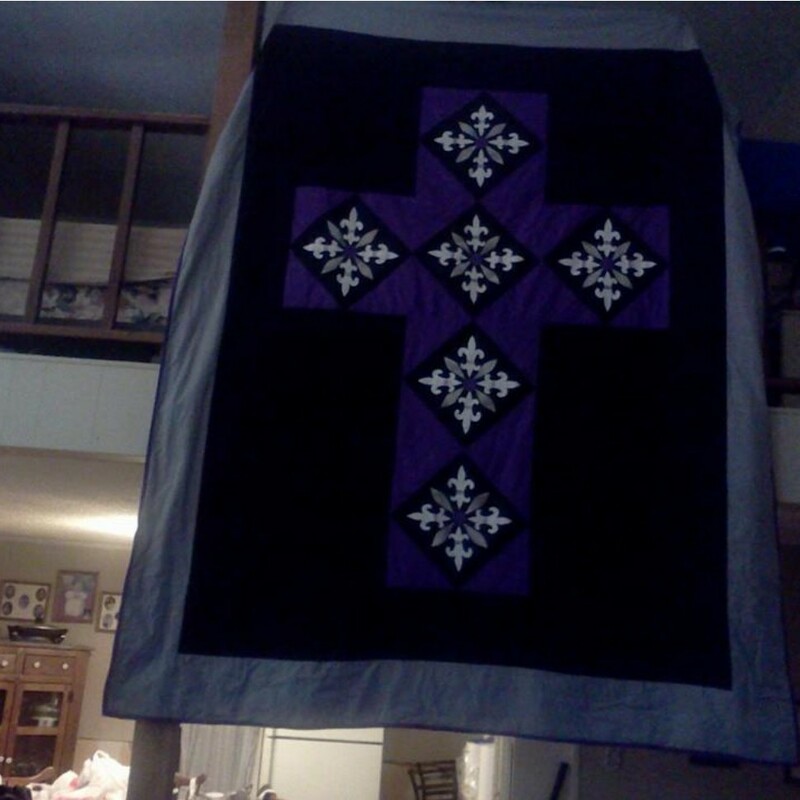 I was so scared of this quilt - I was afraid of messing it up every step of the way. It is not perfect, but it makes me smile every time I see Alex and his cat Matches sleeping under the quilt. My other son is still waiting on his quilt.